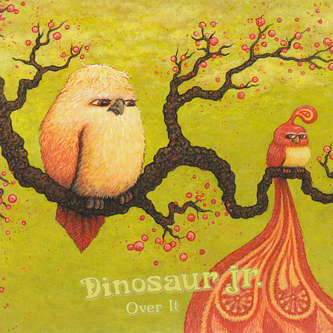 Culled from the stunning Farm LP - the band's second post-reformation album - 'Over It' is vintage J Mascis. Muffed-up riffs and wah-wah licks kick off the track like it was 1987 all over again, the whole thing bursting into life in an overdriven torrent. before that familiar wounded croak of a vocal shimmies into earshot. Flipping over, you'll find a live rendition of the You're Living All Over Me classic 'Tarpit'. Hurrah In keeping with standards set by Farm. there's another great sleeve on this sucker too.